Peshawar, Islamabad, Lahore, Karachi, Srinagar, New Delhi, Kathmandu, Dhaka and Colombo – all these capitals have been a target of terror attacks, but none were as consistent as Kabul has been in the last four decades. Is it because, counter terror network is better managed in rest of the capitals? Or, is it Kabul has a special significance for those actors that no amount of security cordon is impenetrable and worth the risk? 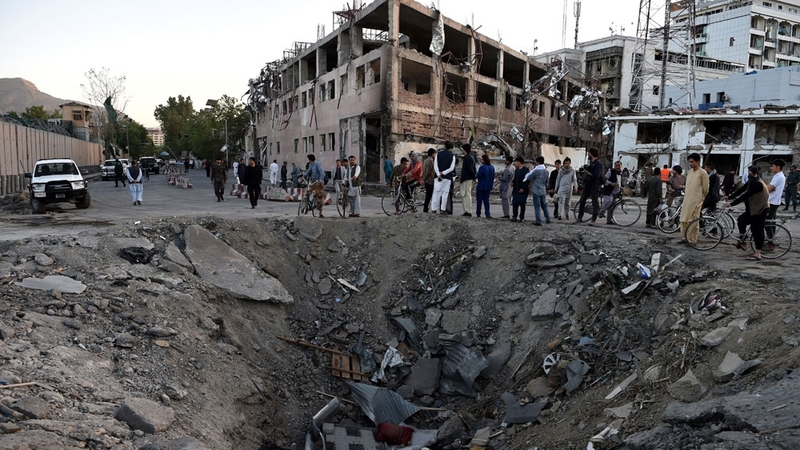 Just few days after the horrific terror attack with a truck bomb (end May) in the heart of the city, Kabul witnessed further attacks on a subsequent funeral meeting. While the latest attack on a funeral claimed more than fifteen victims, the truck bomb earlier claimed more than ninety. Few months ago, in March 2017, there was another deadly terror attack in a Kabul hospital, with more than 100 getting killed in a single day. Earlier, in 2016, a suicide attack on a Shia mosque in Kabul witnessed more than 30 victims. Two more suicide attacks earlier in the same year in Kabul saw more than 40 losing their lives. While terror attacks within Afghanistan have increased during the recent months, and can be explained through the Taliban summer surge, how to explain Kabul being the primary target? Kabul: The Most Violent Capital Today? South Asia have witnessed terror attacks, with Bhutan and the Maldives being an exception. During the last few decades Afghanistan, Pakistan, India, Nepal, Bangladesh and Sri Lanka – have all faced terrorism. But none of the capitals in South Asia – either at the national level or at the provincial levels have witnessed as many violent attacks by as many groups as Kabul has been since the 1970s. Kabul is different when compared to the other capitals in South Asia, in terms of actors who engage in violence. In the 1980s, the Mujahideen groups with their support base in Pakistan and supported by the CIA, waged a violent war against Kabul, then occupied by the Soviet troops. With the Soviet troops withdrawing from Afghanistan (and Kabul) during 1988-89, following the Geneva accords, Mohammad Najibullah was running a government for the next three years. The Mujahideen groups continued fighting him, with Kabul being the main theatre of war between the government and Mujahideen groups, finally leading to his demise in 1992. Najibullah met a violent death at the hands of the Taliban in 1996, when the latter dragged him from an UN compound in Kabul, castrated him before brutally killing and hanging him. Kabul witnessed another round of terror in the name of civil war during 1992-96. Referred as the Peshawar accord, the understanding amongst various Mujahideen groups led to the establishment of a government. However, Hezb-e Islami led by Gulbuddin Hekmatyar continued his fight against the government led by Ahmed Shah Massoud. Widely believed to have supported by the ISI, Hekmetyar targeted Kabul with his rocket power. His missiles perhaps killed more citizens of Kabul, than what had happened earlier; some refer Hekmetyar as the butcher of Kabul. However, the present Afghan government led by Ghani pardoned him in 2016. As a part of an Afghan peace deal, Hekmetyar returned to Kabul in May 2017. After Hekmetyar, it was the turn of Taliban, again supported by the ISI to wage another round of war against Kabul. The capital was overtaken by the Taliban in 1996 and held power until 2011. After being thrown away from Kabul by the international troops following 9/11, Taliban has been organizing terror attacks in the capital. Today, there is no single militant group in Afghanistan, who could be blamed for all the attacks in Kabul. There are three different groups – the Taliban, the Huqqani Network and the Islamic State in Khorasan – with different objectives, but fighting the democratically elected Afghan government. The Afghan Taliban with its base presumably in Balochistan, have its own objectives; it wants to overthrow the existing government and form its own. While the international community (read the US) was initially against the inclusion of Taliban in any political framework, now such an idea seems acceptable. Started during the period of the previous President Karzai, the Afghan Peace Process remains complicated. Taliban continues to fight against the government. The Huqqani Network, believed to be puppeteered by the ISI has been blamed for most of the terror attacks. The Huqqani Network is believed to be used by Pakistan to calibrate violence within Afghanistan and checkmate Ghani. The Islamic State has a larger global objective; though believed to be led by few former Taliban commanders, the IS in Afghanistan wants to establish an Islamic Caliphate. Whether it is linked with other IS groups in South Asia, or with the main group in Syria and Iraq – one is not clear. Though the present government is criticized by the Afghan people, they are not totally cynical and hopeless. The government still has the legitimacy, and the people would want the State deliver. Though there was a procession immediately after the recent terror attack, that turned violent, the people both in Kabul and rest of Afghanistan are not looking for an alternative; certainly, neither the Taliban nor the Islamic State present an option. The above three groups, fight against the elected Afghan government and are united in destabilizing Kabul. However, available reports do not hint any operational linkages amongst these three. None of these three groups have the military potential to overthrow the existing government; nor do they have popular support. Their support base is limited to select provinces. As a result, the above three groups attempt to destabilize the government by expanding their attacks on the capital, instead of taking the State troops head on, as the Taliban did before taking Kabul in 1996. This trend is likely to continue, making Kabul volatile and violent. For the government, it may have the fire power to fight the Taliban in a conventional engagement; but its ability to prevent major terrorist attacks in Kabul or any other provincial cities will remain limited. The drawdown of international forces from Afghanistan is not helping the government either. Especially the unwillingness of the present US administration under Trump to commit more troops in Afghanistan is likely to impinge on the operational abilities of the Afghan security forces. They have been better trained and coordinated, but still a long way to become totally independent. The present government would need international support – both military support and civil aid, to continue fighting terrorism. The militant groups would want to take on the elected government by trying to penetrate the capital. They would like to create an impression to the Afghan people and the international community that Afghanistan is far from becoming normal. Given the recent history, Kabul is not likely to be built in few decades. For the first time since the 1970s, there has been an elected government. Both the international community and the region should look towards stabilizing the elected government and the political process.